She began her training as a nurse at Alexandra College, Crowstone Road, Westcliff, Essex, England. She was a State Registered nurse and South Benfleet’s district nurse and midwife from 1924 until she retired 27 years later in about 1951. During this time she had helped 704 local babies into the world. 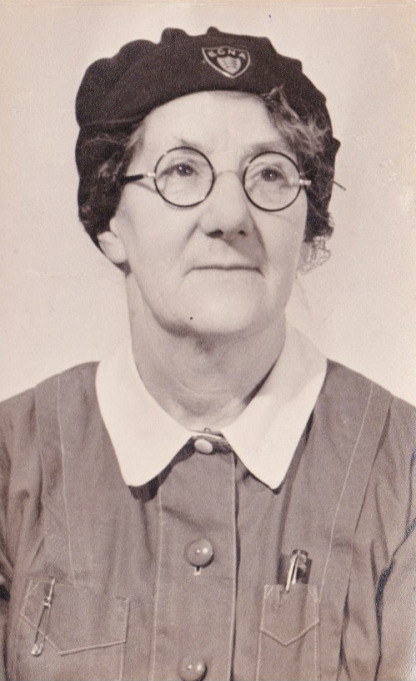 She worked in Kennington, London before returning to Benfleet as a private midwife early in 1925. She was “nationalized” when the National Health Scheme was introduced in 1948. 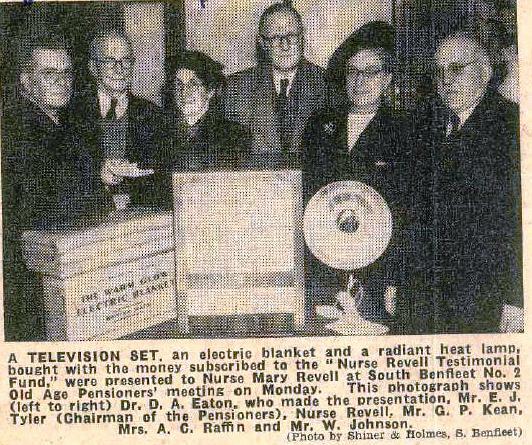 When she was 60 she was presented with an electric blanket, a television, a radiation lamp and £6. Electricity had to be laid on in her cottage so that she could use these gifts! She worked together with Dr. Eaton for 18 years. She had a breakdown when she was 60. All three sisters were in nursing. She never married – spinster. When my aunt Kathleen Gothard was poorly, my mother went down to Somerset and looked after her for a week, but had to return home as I was going into hospital. It was then that grand aunt Mary travelled down to Somerset to look after Kath. On the train journey down, a suitcase fell off the overhead rack and hit Mary on the head. About one week later, while still in Somerset, she died. Kath’s husband, Chas, helped to arrange for her body to be brought home to Benfleet for burial. The family believe that this accident caused her death. Although she was not really allowed to, she delivered Eunice Marion’s (her sister) children. A nursemaid by the name of Mrs. Valentine (friend of Mary and Eunice) used to help her. “She brought my two eldest children into the world. Although she had the reputation of being severe with husbands, I always got on well with her and we were very grateful to her”. Nurse Revell Testimonial Fund with Dr Eaton making the presentation. Nurse Revell delivered me on 6th October 1942, and was also my Godmotherwhen I was Baptised,on the 25th April 1943,in Benfleet church. I have the Baptism card but cannot read the signature of the Vicar, I would be pleased if someone could tell me his name. My name was Janet Stevenson,if anyone remembers me. Editor: The vicar at St Mary’s Church at that time was Rev. Reginald Leighton Houghton, see page on our site. 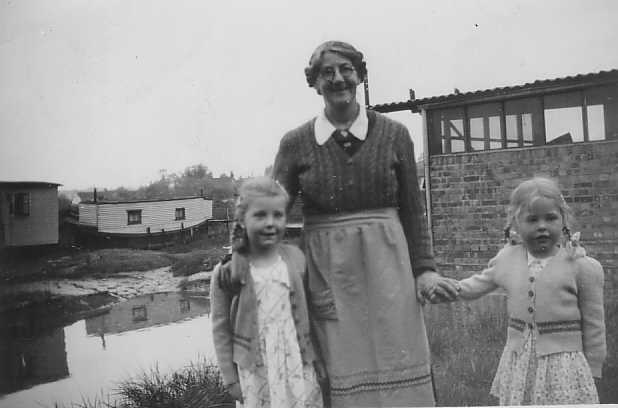 Nurse Revell delivered me on 17th October 1948 on the houseboat “Veronica” moored in Church Creek. I also think she nursed my sister Veronica on the boat when she had pneumonia. Nurse Revell, prior to the NHS was the Nurse who looked after me when I returned home after my birth, from a Westcliff nursing home recommended by her. She delivered my brother Graham, since passed away, at our then home in Clarence Road. I consequently knew her well as a child. My mother, Joyce Turner nee Finch knew Nurse Revell, I do not know if she delivered me or not. I think Mary Anne was probably the midwife at my birth in 1950.